Victoria Peak as seen from Butcher Lake within the Castle area. The next phase for the 103,000-hectare parks is the development of a management plan for the ecologically and culturally significant area. A 60-day public consultation will help flesh out the new parks’ features and opportunities. A draft plan has been developed in conjunction with key stakeholders. Albertans are encouraged to participate and provide feedback. The Castle area has cultural and historical significance for Indigenous people. First Nations will play an ongoing and critical role in the management of the parks, including opportunities for co-operative management. Part of government’s move to further improve protection of the Castle parks area and its unique biological diversity is to transition off-highway vehicle (OHV) recreation use out of the new Castle boundary. Existing OHV trails within the Castle parks will be assessed for ecological risks to the area, an important source to the Oldman River Basin headwaters. Non-designated trails will be rehabilitated. Additional work in the region includes the development of a regional tourism strategy and the completion of priority planning for Porcupine Hills and Livingstone Range vacant public lands adjacent to the Castle parks’ boundaries. 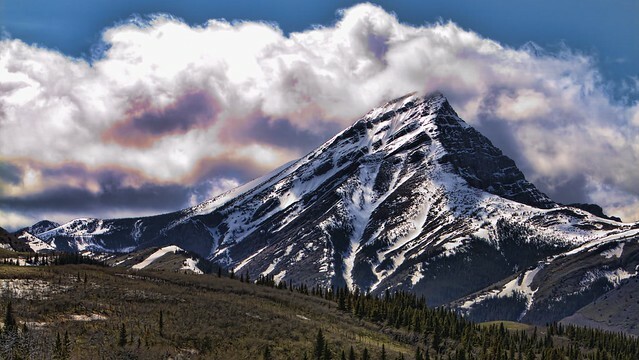 The Castle area is home to over 200 rare or at-risk species located on the eastern slopes of the Rocky Mountains in southern Alberta, near British Columbia and Montana.